Organizers and volunteers are working hard to prepare for the 49th annual Festival of the Arts taking place on June 1, 2 and 3 in downtown Grand Rapids. 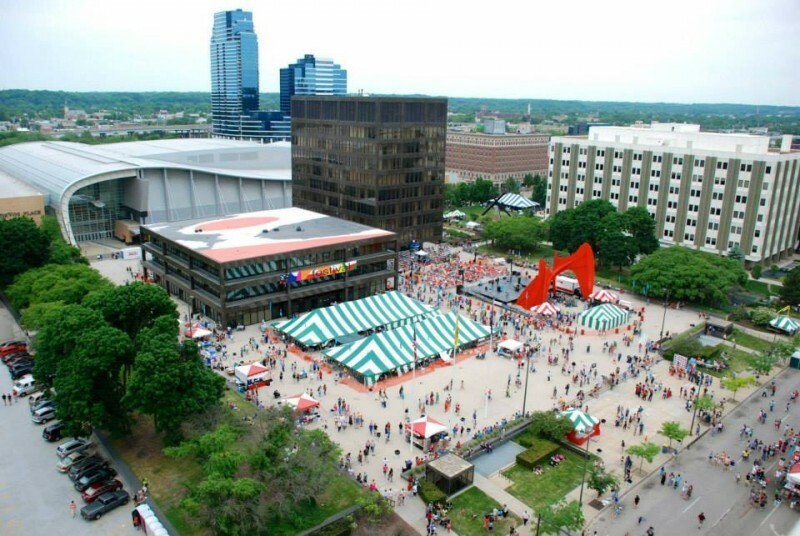 Organizers and volunteers are working hard to prepare for the 49th annual Festival of the Arts taking place on June 1, 2 and 3 in downtown Grand Rapids. Check out the 2018 program, lineup of food booths, performance schedule and map to plan your trip downtown this weekend. Festival of the Arts features food, family activities, art and live performances by local musicians and performers. The majority of proceeds from food sales go directly to local nonprofit organizations, so come hungry and ready to enjoy some local music and art. For the first time ever, comic book art will be showcased front and center at Festival. This unique event gives festival goers access to several artists in booths at Rosa Parks Circle on Friday, June 1 and Saturday, June 2 from 5 – 9 p.m.
New menu items for 2018 include a root beer float, spicy Korean nachos, an extra-large pickle and grilled cinnamon and lemon pineapple skewers. Tried and true favorites remain, of course, such as elephant ears, turkey legs, polish sausage, pierogis and souvlaki, among others. The Regional Arts Exhibition which includes the Sixth Street Bridge photo competition finalists will be on display at the Fed Galleries at Kendall College of Art and Design this year, and will be open for the public to tour, free of charge, during Festival hours. 2018 also marks Festival hiring its first-ever executive director, David Abbott. Prior to joining Festival, Abbott spent significant time working as Development Director at Goodwill Industries of Greater Grand Rapids, Gilda's Club’s Laughfest and ArtPrize on ideation and sponsor development. He is excited about the opportunity of leading Festival into its 50th year in 2019 and promises a very special celebration. 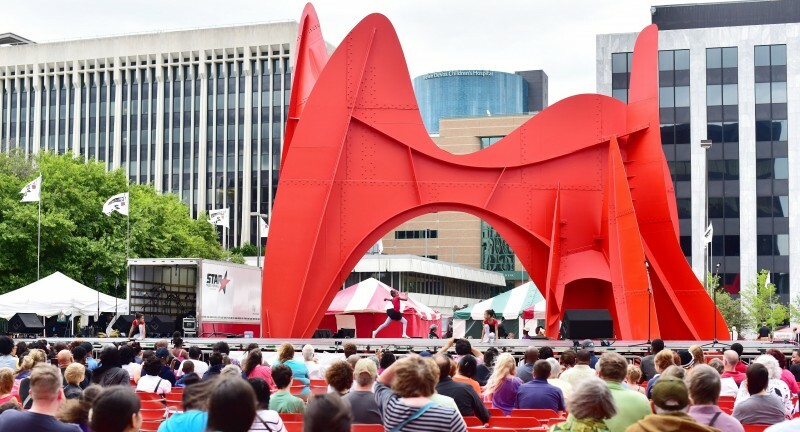 Festival of the Arts, always the first full weekend of June, celebrates the arts in 2018 on June 1, 2 and 3 in downtown Grand Rapids. The three day event family friendly remains free and features several stages of performances taking place all day, a juried arts exhibition, and dozens of food booths run by local non-profit organizations. Festival also offers creative activities for children and adults to enjoy with opportunities to make your own art or purchase art from many West Michigan artists. For more information visit festivalgr.org or check out Festival of the Arts on Facebook, Twitter or Instagram.